The Young Vic Theatre is a modern masterpiece of a building finished in 2006, airy and spacious, beautifully equipped and perfect for a growing programme of theatrical excellence. For thirty years after it was first built as a temporary structure in 1970 for the National Theatre Board, with a projected lifespan of 6 years, the Young Vic fringe theatre was an incredibly popular venue. Designed by Bill Howell, by 2004 the structure was on its last legs and in serious need of a re-think, and the architect firm Haworth Tompkins were commissioned to replace the building with something bigger, more suitable and more flexible. The heart of the original building was retained, with the old building’s auditorium and adjacent pre-war building elements staying, built into the new design in a sympathetic blend of old and new. The new building was created with practicality in mind. Like all theatres, it needed to stand the test of time, redecoration and hard use. The result is a building that’s flexible enough to stage all sorts of productions, without losing any of the original venue’s unique chemistry. It consists of a Main House plus two smaller studios, called Maria and Clare. The new Young Vic building has won countless awards including the 2007 Stirling Prize, an AIA / UK Award, British Construction Industry Building Award, the Chicago Athenaeum, International Architectural Award, a Civic Trust Award, the LEAF Public Building of the Year Award, several RIBA awards and more. At the Young Vic, they give 10% of their seats to people who wouldn’t otherwise be able to afford to come, and they work extensively with young talent for a bright theatreland future. 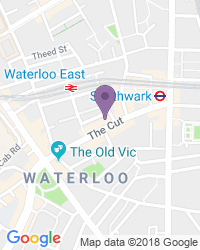 In recent years the Young Vic Theatre has staged Hamlet, One for the Road/Victoria Station by Harold Pinter, The Beauty Queen of Leenane and Street Scene with music by Kurt Weill and lyrics by Langston Hughes. Disco Pigs and In the Penal Colony, No Idea and Electra, Dr Seuss’s Cat in the Hat and I am Yusuf and This is my Brother, by Amir Nizar Zuabihave, have also graced the Young Vic’s stage. The Young Vic theatre offers wheelchair access and infra-red sound amplification. Hearing dogs and guide dogs are welcome. We’re your primary destination for a wide variety of seat types and prices, with excellent availability on the full range of Young Vic Theatre tickets.